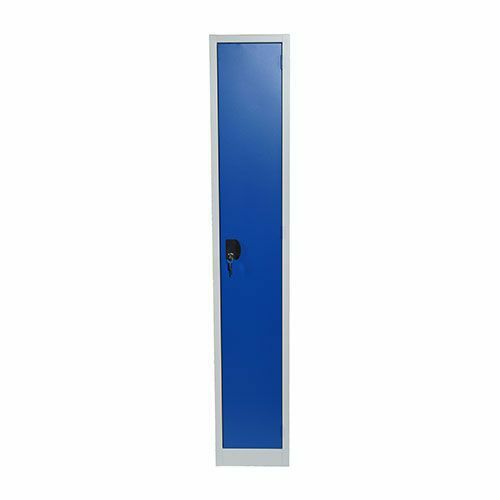 Single lockers 1800x300x300mm. steel lockers. Welded steel construction, for added strength and rigidity. 300mm deep lockers, fitted with hat shelf and 2 coat hooks. Complete with cylinder lock and 2 keys per compartment. Pre-drilled, for nesting side by side and/or back to back. Powder coated finish - smart and scratch-resistant. Flat top storage locker ideal for commercial, industrial, educational and leisure environments. Please note: no internal fittings are supplied.